The Track Rack bars are made from renewable source of bamboo. 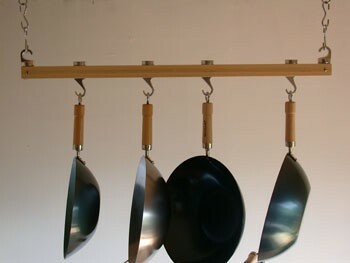 Our set includes two 36 inch Track Rack bamboo bars to slide your hooks; aluminum hooks - four Pan hooks, two Swivel hooks which turns 360 degrees and two End hooks with connecting bolts; and sixteen 3 inch steel Hanging Links to extend your pot rack from the ceiling. 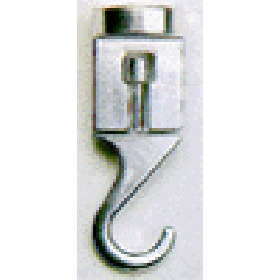 Mounting hardware and easy-to-read instruction booklet are included. Mounts directly to ceiling wood joist 16" on center. 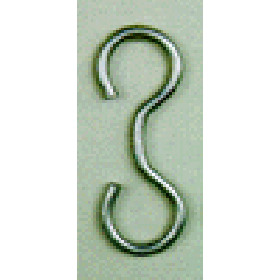 Need more hooks or Hanging Links for your pot rack? 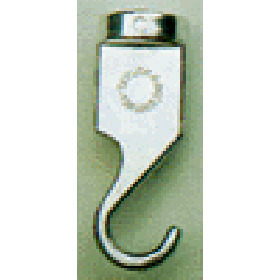 You can order additional hooks and hanging links as open stock. Made in Taiwan.